Email marketing software solutions are applications that allow you to plan, execute, and monitor email marketing campaigns. They often come with email builders, email scheduling features, and campaign automation tools to help you streamline operations. Moreover, they provide marketers with reporting and analytics that will allow them to measure key metrics and fine-tune their strategy. The purpose of email marketing goes beyond pitching an offer. It builds customer loyalty, nurtures leads, and increases direct sales, not to mention brand awareness every time a recipient clicks on your email. Sending bulk emails involves time-consuming processes, which include preparing a list, segregating it to subgroups, sending the actual emails, and creating feedback reports. Email marketing software does away with these and automates much of the manual workflows. Moreover, it helps you split-test campaigns and measure ROI with clear metrics. You can even observe in real time how the campaign is performing with the solution streaming key metrics as they happen. This allows you to change the campaign at once for a better outcome. If you’re not using software in your email marketing efforts, you’re undermining your campaign’s full potential. 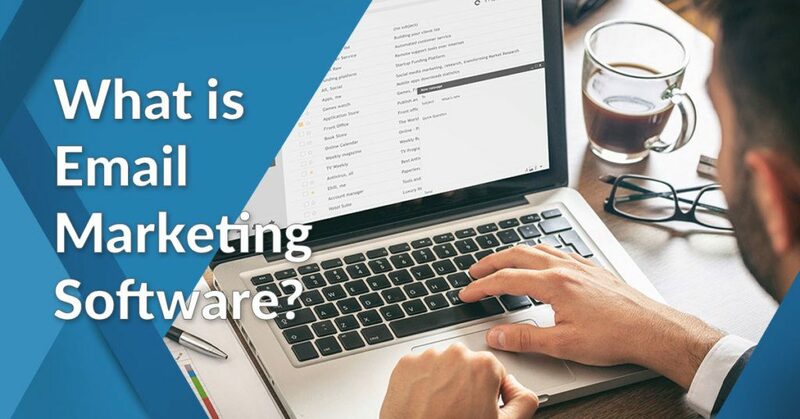 To help you get a better understanding of the specific functionalities of email marketing software, read on as we have prepared an in-depth explanation of its features and benefits. We even compiled the potential issues you might encounter as you implement this software as well as some trends in the industry to watch out for. This way, you can make the most out of your new investment. What Are Examples of Email Marketing Software? What Are the Types of Email Marketing Software? What Does Email Marketing Software Do? What Should You Consider When Buying an Email Marketing System? What’s the Cost of Email Marketing Software? What Are Potential Issues With Email Marketing Software? What Are the Latest Trends in Email Marketing software? Social media may be powerful when it comes to generating leads but emails are still arguably more effective when it comes to maintaining customer attention and increasing the chances of conversion. After all, according to Hunt Marketing Group in a TechnologyAdvice interview, “direct marketing is the most efficient way to reach a defined audience.” This is because there’s a higher chance that your target audience will give your message full attention when it’s sent to them via email rather than when they simply scroll past your post on a social media site. In addition to that, emails give you the ability to make each message more personal, allowing you to connect with your target market and further engage them to learn more about your products and services. This was echoed by the DMA Marketer Email Tracker 2018 study that revealed how marketers believe emailing is best used for customer retention (59%), brand promotion (57%), and conversion (52%). Moreover, email marketing tops the ROI rate, allowing businesses to generate a $38 return on investment for every $1 they spend on this type of campaign. As you can see on the table provided, this also outperforms other marketing strategies such as social media marketing, SEO, social PPC, and content marketing, among others. What does email marketing software do? To help you understand its functions, here are examples of email marketing software. HubSpot Marketing. HubSpot Marketing is part of the HubSpot suite that helps you conduct inbound marketing. It works in unison with HubSpot CRM and HubSpot Sales. The app acts as a marketing funnel where you place contacts across stages and track their progress towards your goal, which can be lead conversion, opt-in, or any call-to-action result. As an email marketing solution, HubSpot Marketing features static and dynamic HTML messages. You can customize the design to match the recipient’s buyer persona. The app also provides scheduling, contact management and mobile marketing in one platform. Moreover, you can create and embed contact web forms to capture leads on your site or other online channels like newsletters and social media pages. You also have a range of SEO and social media tools to promote your content with targeted recipients. They can be influencers, your site visitors or customers. Other important features include tools for blogging, landing pages, and ads. It also has lead management and Salesforce integration. SendinBlue Email. Another leading email marketing solution, SendinBlue Email can automate email campaigns for businesses of all sizes. With its robust email builder, customizable templates, real-time tracking, as well as drip campaign management, this can easily help you change how you set up and execute your email marketing campaigns. Moreover, it offers strong API capabilities, making it one of the most scalable and flexible platforms out there. Wix ShoutOut. Built as a supplementary module to Wix’s website builder, Wix ShoutOut is an email builder and editor with great marketing capabilities. This platform offers mobile-optimized features that will allow digital marketers to create stunning emails and newsletters with ease. It also comes with a robust mailing list management tool that is great for segmenting leads when you set up your email marketing campaigns. Zoho Campaigns. As part of the popular Zoho productivity suite, Zoho Campaigns offers best-in-class email marketing tools that are highly scalable and configurable. This software solution can help users create beautiful emails, set up effective campaigns, as well as monitor email effectiveness in real-time. In addition to that, it offers A/B testing tools to help you make sure that all of your campaigns will yield good results even before you launch it.  Retainly.Created specifically for Internet-based businesses, Retainly is an email marketing automation application that aims to reduce customer churn and drive business growth. Like its competitors, Retainly has tools that let users segment contacts, create email templates, as well as schedule email sending. What makes it unique is that it has a built-in CRM system that is great for consolidating all customer information. Marketo. One of the popular marketing automation solutions, Marketo features a powerful email marketing module but with drag-and-drop simplicity, making it an excellent inbound marketing platform. Likewise, it helps you promote social sharing and customer engagement with real-time personalization tools. Among its key features are loyalty marketing, event marketing, and budget calendar. ActiveCampaign. It’s an all-around marketing software with features for email marketing, social media marketing, marketing automation, and contact management. The solution even integrates with 150 apps to further extend its functionality to sales and service. ActiveCampaign has site tracking, conditional content, event tracking, and API tools. You can also conduct email split testing and sales CRM with this system. iContact. It’s a marketing automation solution with a powerful email marketing tool. iContact features lead generation and lead scoring to help you nurture the most promising prospects. The app has a landing-page builder, with options for HTML or template-based layout. As a mailer, the app includes standard email marketing software tools, such as segmentation, A/B testing and list management. Moreover, it comes with social media management and analytics that allow for generating funnel reports. Other notable features are CRM, engagement tracking and workflow automation. MailChimp. One of the most recognizable mailers, MailChimp handles volumes of emails and features post-campaign analytics. It also features a free app that can support a limited number of emails per month. The paid plans though offer unlimited emails. MailChimp also features built-in templates for newsletter design, which can be white labeled to your brand. Likewise, it allows for segregating your mailing list for tranched sending. There is also the RSS-to-email option that automatically sends a newsletter every blog updates. The app features other key tools like merge tags, custom forms, spam filter diagnostics, and social sharing. SendX. A feature-packed marketing automation platform built to equip businesses with all the tools they need to capture more prospects, bolster online presence, and improve customer engagement. It is equipped with multiple marketing tools such as drip marketing, segmentation, landing pages, onsite popups, push notifications, workflow automation, remarketing campaigns, A&B testing, and others. Companies and businesses that are equipped with SendX can have confidence with their website’s appearance thanks to the platform’s intuitive and easy to use interface for testing and previewing the appearance of widgets on their website. With its intuitive dashboard, HubSpot Marketing is unsurprisingly one of the leading email marketing solutions on the market. You now have a clear answer to the question of what is email marketing software. Let’s now move to the benefits of email marketing software or, why use email marketing software, indeed? Email marketing software is a cost-effective way to get in touch with your customer base, either to provide valuable content, promote your product or announce new offers or deals. The whole process of managing email campaigns can be tedious, but email marketing software addresses this pain point. Here are the advantages of email marketing software. Efficient Email Automation. Imagine sending 1,000 emails in one sitting? You will waste a lot of time sorting the addresses, pasting the message and sending emails manually. Once you have the message fine-tuned, email marketing software can automate the entire campaign process, from sorting recipients into groups to scheduling the emails and to generating feedback reports. Market Reach Expansion Made Affordable. So long as you have built a robust mailing list, email marketing software allows for reaching to a targeted market at significantly lower costs than traditional outlets like tv, print, and radio. Moreover, the audience is more targeted granting you built the list using opt-ins or follow a permission marketing strategy. Some companies start with a purchased list to get initial subscribers, but it is still best to build the list around your customers. As you expand the list with incentives like white papers and deals, the cost per email drastically drops, further increasing the ROI of email marketing software. More Accurate Metrics. None perhaps can give more detailed post-campaign analytics than email marketing software. It can generate key metrics such as open rate, click-through rate, forwarded messages, and engagement level. With a detailed feedback report, you can accurately calculate the cost-benefit ratio and account for each campaign’s budget. Increased Customer Loyalty. Because email marketing software makes it easy to launch various campaign series, you are always in touch with your customer base. You can provide content that matches the recipient’s interest, deals to spur repeat buys or simply update customers with the latest offerings or products. Email marketing software is your direct line to customers to nurture their loyalty, interest and possibly elicit more purchases. Likewise, they may forward your email to family and friends, thereby, extending your market reach. Better Ticket Monetization. Customer complaints sent to your help desk can be mined as additional contacts to your mailing list. As long as the issue is resolved and the customer is satisfied, including her in an email campaign may generate additional sales. This process is common in CRM, but if you lack that system, email marketing software is a good option. Social Media Channel Promotion. Some email marketing solutions can connect to your social media pages, allowing for cross-channel promotions. For example, you can incentivize an email message with deals if the recipient likes your Facebook page or post your hashtag. If you have a robust mailing list, this is one way to migrate subscribers to your social channels. Measurable ROI. Email marketing software promotes accountability in your campaigns. You can track each campaign’s metrics down to the details like open rate, click-through rate, and engagement level. While it creates brand awareness, it also generates immediate revenues, unlike tri-media channels. Reduced Risks. Because campaigns are measurable down to the details, you can sort the best method among a set of email campaigns. Email marketing software features an A/B testing tool, which shows the key metrics among different campaigns. SendinBlue Email has an easily navigable dashboard that gives you access to all of the email marketing features you need. Email marketing software solutions are a heterogeneous lot, meaning they look nearly identical with a few minor variations here and there. The best way to categorize them is by grouping them on how they are used. How does email marketing software work? Direct sales. This is the most common used for email marketing software, sending emails to promote an offer. Usually, it includes a product catalog that is comparable to printed versions sent via snail mail. The emails can be sent to your mailing list or a purchased list. Newsletter. Email marketing software also acts as a communication tool. You send newsletters to provide quality content like articles, guides, tips, and announcements that are aligned with your product’s value and your customers’ interests. The newsletter can also entertain customers and sustain an open line between you and them in between sales. Transactional emails. It involves an opt-in phase, where customers agree to be added to your mailing list. An incentive is necessary here to spur customers to contact you. A few examples are order confirmation emails, password reset requests, and email receipts. Because customers opted in, open rate for transactional emails is significantly higher than with newsletter (51% vs. 36%). In this regard, email marketing software becomes an administrative tool. However, it is still a marketing tool because you have an opportunity to include subtle cross-sell or upsell messages. Autoresponders. It helps you send multi-tiered emails based on recipient’s feedback. Email marketing software provides tools that let you map your main email to different paths. One path can lead to lead nurturing, while another to your shopping cart; yet another to trash for lack of promise. You can set triggers to launch the autoresponder, for example, when someone clicks a download button, signs up for a free trial or purchases from your online store. Similarly, autoresponders can be used to send welcome and thank-you messages. Many customers like it when you take the time to appreciate their engagement. Essentially, email marketing software leverages autoresponder as a lead generation tool. Wix ShoutOut is a great example of an email marketing software that can handle transactional emails, newsletters, autoresponders, and other types of email campaigns. Many email marketing software products share similar features. Where they differ usually is in deployment (cloud vs. on-premise) and packaging (integrated within a CRM system or stand-alone app). Here are the common features of email marketing software. WYSIWYG Editor. Email marketing software has a user-friendly email builder that lets you see how your email appears before launching. The builder comes with tools like drag-and-drop functionality, built-in templates, responsive format, and photo editing. Likewise, a customized layout can be split-tested and the best-performing design reused and copied for future campaigns. Mailing List Management. This module lets you segregate the mailing list into smaller, targeted groups based on your metrics. Customers or subscribers can belong to multiple groups that match their profile. You can conduct specific email marketing campaigns for each mailing list subgroup. Some email marketing solutions feature automatic segmentation based on geolocation, demographics, autoresponder feedback, purchase history, and other metrics. A/B Testing Tool. You can send different email sets to a small group to measure, among others, feedback on the subject line, design, and copy. This ability allows for fine-tuning the campaign and send the best-performing email version to the rest of the mailing list. Merge Tags. It’s a tool that lets you replace variables in your message with a personal element, usually the recipient’s name. This gives your email warmth, and customer, in general, respond to their names more positively than to generic salutations. Merge tags can also be used to send coupon codes specific to the recipient and avoid duplicates. Analytics and Reports. As with most business solutions, analytics and reports in email marketing software lend to your campaigns insights on its effectiveness. You get to measure key metrics like open rates, CTRs, readers’ length of stay on your email, trending content and demographics. Many email marketing apps also feature real-time campaign tracker that streams metrics as they occur, which helps you quickly shift the campaign if the results prove dismal. Autoresponders. It sends targeted content to your mailing groups based on their engagement level or other key metrics you’ve set. Autoresponders are used for drip email campaigns to nurture leads, welcome or thank the customer or answer a query or request. Autoresponders are equipped with automation for sorting recipients, scheduling emails, sending multi-tiered emails based on triggers initiated by the recipient and funneling promising contacts into the sales pipeline. CAN-SPAM Rules. U.S. and EU laws prohibit spamming. This tool ensures your email is CAN-SPAM, an act passed by the U.S. Congress in 2003 to address spam email complaints. The tool analyzes the email for the probability of being blocked by spam filters, broken links, and HTML structure. CRM Integration. Most email marketing systems integrate with popular CRM solutions. This helps align sales and marketing activities. Leads from CRM can be added to the mailing list and included in email marketing campaigns. Likewise, CRM can provide context to your mailing lists, such as demographics, purchase history, and previous engagement. On the other hand, recipients that responded positively to your email can be forwarded to the CRM’s contact management and sales pipeline for lead nurturing. Social Media Integration. You can also integrate your Facebook, Twitter, and LinkedIn pages with email marketing software and expand your reach. You can invite your mailing list to like your pages and, conversely, ask your followers to opt in your subscription list in exchange for an incentive like a deal or exclusive content. Retainly can provide users with advanced email marketing tools from WYSIWYG website builders to robust CRM capabilities. Pricing isn’t the only factor that should influence your purchase decision. Essentially, what you want is to have all the features we mentioned above in an email marketing solution, plus a few other factors. Ease of Use. Not the least email marketing software should be intuitive and easy to use. Most cloud mailers today are user-friendly so this should not be a problem. Responsive Display. Many customers access their emails via a smartphone or tablet. The email marketing system should be able to display your emails on mobile apps. It’s simply difficult to read desktop emails on a mobile screen. Feature Set. Aside from the two factors above, take a close look at the feature set. There must be an email builder, analytics options, autoresponders, mailing list management, and tag merging functions. Any missing tool greatly diminishes the overall potential of the solution. CAN-SPAM Compliance. No matter how robust the system is, if your email is violating laws your campaigns can come crashing down. A good email marketing solution alerts you of potential legal breaches so you can address the issue before launching. This is a critical feature, so make sure your vendor has it. A/B Testing. You should leverage the detailed and measurable metrics email marketing is capable of. With an A/B testing tool you optimize each campaign and generate the best possible ROI. Number of Emails Per Month. Many free mailers have a limit on the number of emails you can send in a month. This can be frustrating if you have a large mailing list. Make sure to use an app that allows unlimited emails to maximize your customer base. Integration. At the least, the email marketing app should integrate with popular CRM and help desk solutions. This allows for sharing customer data for sales, marketing, and customer service. Furthermore, the email marketing solution should allow for importing/exporting CSV, txt, and other common file formats. Known for its user-friendly interface and extensive feature set, ActiveCampaign can easily fulfill some of the most crucial email marketing requirements. Here is the typical cost of email marketing software solutions, packaged in different ways by top vendors. HubSpot Marketing. Many email marketing software apps offer a free version like HubSpot in the hope to lure you to paid plans. HubSpot Marketing starts at $200 per month with the enterprise plan charged as high as $2,400 per month. SendinBlue Email. There are vendors that price their email marketing software solutions based on the number of emails you plan on processing per month. For SendinBlue, you can be charged as low as €19.00/month if you intend on sending out 40,000 emails on a monthly basis. Marketo. A typical by-quote application. You need to contact the vendor for a customized package that meets your needs. ActiveCampaign. Many apps also do not provide a free version; instead, they have affordable and scalable price tiers. This app starts at $9 per month, with the premium plan at $149 per month. iContact. Email marketing software can also be packaged by its feature set like iContact. Its basic plan is from $11.90 per 500 subscribers and only features the baseline functions, while the premiere plan includes API support, premier support and advanced email analytics. MailChimp. Some mailers base their pricing on the size of your mailing list. MailChimp, for example, starts at $10 per month for up to 500 subscribers, with its highest plan at $25 per month for up to 2,000 subscribers. Mailgun. There are also email marketing software providers like Mailgun that don’t provide monthly subscriptions. Rather, they charge per email bundle. This way, you can simply purchase a package that can support the number of emails you want to distribute. For this particular software, you can distribute 500,000 emails at $$0.0005 per email, 1,000,000 emails, at $0.00035 per email, and 5,000,000 emails at $0.00015 per email. No Mailing List. There is no point in getting an email marketing software if it lacks a mailing list. The first step is to create a plan to build the list. This means promoting incentives like value content, deals, or exclusive offers and, perhaps, tapping paid channels to put your opt-in landing page out there. Buying a purchased list is seldom cost-effective and your unsolicited emails can easily trigger spam filters. Violation of Spam Laws. The U.S. and E.U. passed specific laws against spamming and to protect privacy. You could be violating them if you’re not careful or the email marketing solution isn’t equipped with compliance control. For example, CAN-SPAM prohibits misleading recipients. Your subject line should match the email’s content. Likewise, the law requires you to provide recipients a means to opt out or unsubscribe from your list. To avoid lawsuits, make sure the software is CAN-SPAM-compliant. Customer Churn. If you send emails without a plan, you’ll end up annoying customers with messages that don’t interest them or are irrelevant. You risk recipients unsubscribing, greatly diminishing your mailing list. Have a strategy in place and use segmentation and autoresponder to ensure your emails ring a bell to their recipients. Spam Filters. Email clients have spam filters in place. If you’re not careful, your campaign may end up unable to reach its intended audience. Gmail is especially a difficult case; even opt-in subscription can end up in its promotions tab, away from the main inbox. Good email marketing software alerts you for potential spam triggers like generic subject lines, common sales promises, complex layouts, and too much URL links. No A/B Testing. Email marketing is a science with measurable metrics that define the best outcomes. If you lack appreciation of this discipline, you’re undermining the potential of email marketing software. You can also check our article on the solutions to common email marketing problems to maximize your investment in this software. By using a reliable, best-in-class platform like Zoho Campaigns, you can avoid a number of potential email marketing software issues. Artificial Intelligence. Artificial intelligence can take over campaigns with intuitive triggers, adaptive modeling, and automated processing. AI is also being applied to interactive content development and feeding your campaigns with targeted articles. Interactive Emails. The use of carousels, slideshows, hamburger menus, image galleries, and animated elements will be more prevalent as email marketing software gets more sophisticated. Built-In CRM and Help Desk Functionalities. Email marketing software may follow the same fate of collaboration tools. The category is gradually integrated as a communication tool with other more encompassing business systems like CRM, ERP, and help desk. That means you won’t go shopping for a mailer, instead, you’ll pick it as an add-on or stack to your existing systems. HTML5 Video. HTML5 provides a platform to embed videos in emails. Unlike traditional HTML, HTML5 videos are lightweight and run more efficiently on low bandwidth. iOS 10, in particular, supports HTML5 video, which bodes well to email marketers. Segment Your Mailing List. Your customer base is composed of diverse individuals, so it comes as no surprise that not all of them will respond positively to the same emailing approach. To help you make your emails more appealing to your different clients, you should start segmenting your mailing list. With this, you can organize your customers according to different criteria such as location, interests, browsing behavior, and age. By doing so, you can make more targeted messages. Test Your Campaigns. Most email marketing platforms offer A/B testing tools, and for a good reason. This function will allow you to gauge the effectiveness of your marketing campaigns before you launch them. All you have to do is come up with different campaign strategies to test against each other, and the software will help you determine which one is most likely to yield better results. With this, you will no longer waste money on weak campaigns and inefficient marketing strategies. Optimize Your Emails for All Devices. Emails can be accessed using all sorts of devices nowadays. Because of this, it is easier for your readers to come across problems where your carefully-designed emails are not displayed properly. To avoid this, be sure to find an email marketing platform that will allow you to optimize your emails for different devices. This way, your customers will be able to get the full experience you intended for them to enjoy.